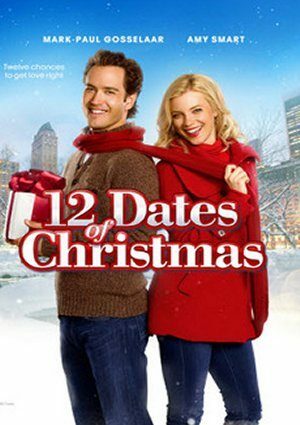 12 Dates of Christmas follows a young woman who re-lives the same first date on Christmas Eve over and over again until she learns to open up her world to new things and stop living in the past. All of those boring movies play all the time in December but this one is actually entertaining,clever charming and funny. and it’s not aired. Good Grief. Hi Bambi. Yes youre so right!! Thats why ived purchased lots of old Christmas movies thagg nobody shows anymore. But ivv you subscribe to the Lifetime Movie Club… it’s worth it!! They had a ton of good Christmas movies lasf year too. And The 12 Dates ov Christmas was one ofbthem!!! I agree! It’s not airing on TV and it’s not available on DVD.. this is the one movie I wait for at Christmas time! It’s not even airing in my area this year from what I see! Duck a disappointment. By far my favorite Christmas movie! yes release this movie I have been looking for it for 3 years. It is my favorite Christmas movie made for TV. I agree with you. This is another one of those films that ABC Family got right. Good cast, well paced, and rises above its silly premise. Rapidly becoming a Christmas Classic in our household. I wish they would release this on did! Such a great holiday film. When will this great holiday movie become available to buy? I love it! Why is “12 Dates of Christmas ” not on DVD?